When it comes to driving up your product sales, greater online exposure is one of the biggest keys. Your Yahoo Store is never going to do as well as expected, unless you give it the visibility that it needs online. With our cutting-edge software management tools, we can integrate your store with Sears, one of the largest online marketplaces. Our Yahoo Store Sears integration services are second to none, and designed to assist your product sales in every possible way. We use our advanced Yahoo Store Sears plugin and Yahoo Store Sears app to make sure that the integration is error-free from our end, and yields the best results on your store. We synchronize all your store products to the most appropriate categories displayed on Sears, and boost your store sales prospects. Our services are not limited to Sears integration only. 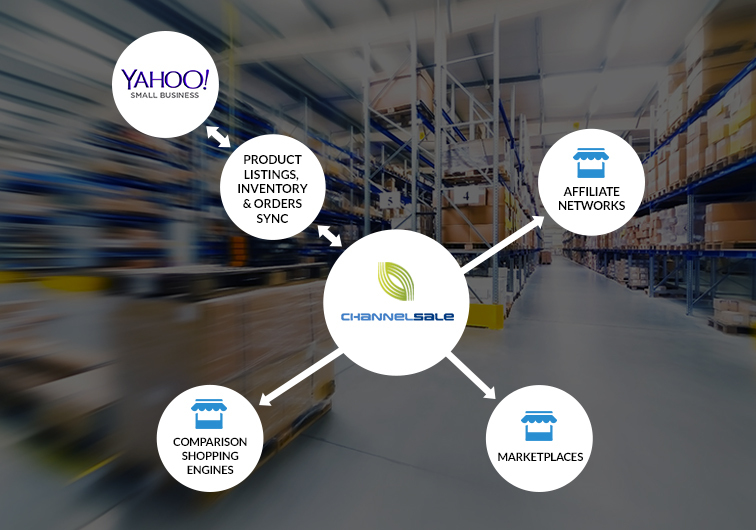 We also provide online merchants with real-time inventory management and shipping and order tracking management services which can assist them in the management process, whether for a single Yahoo store or more than one store. What Makes Us the Best Option for You? Our granular level item category mappings associate the products of your Yahoo store with the most suitable item categories on Sears. We can also help you sell any kind of product, whether single or varied, multi-variational or simple, bundles or kits of group products. Whatever the size, type, colour and shape of your offerings, we can handle it. We also offer automated product listing, product performance judging, stock synchronization updates, feed optimization and various other services to assist you from all ends. We keep varied and flexible pricing for various marketplaces, such as Sears. We also send markup costs to varied shopping engines. Our high tech Yahoo Store Sears extension and Yahoo Store Sears connector ensure that your store items are displayed according to the policies and terms of Sears.